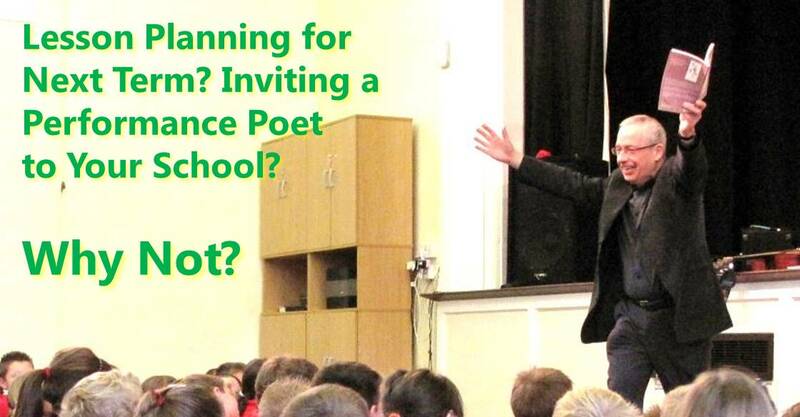 I’ve done a lot of work over the years in schools promoting the Road Safety message using poetry. People ask me how does that work? Well, the Road Safety officers of the council block book me and then make the arrangements with a number of schools where they want to get the message across about things like crossing the road carefully, riding a bike wearing a helmet, encouraging adults not to speed (20 is plenty)… I visit with the Road Safety Officers and we have a fun time with a serious theme. 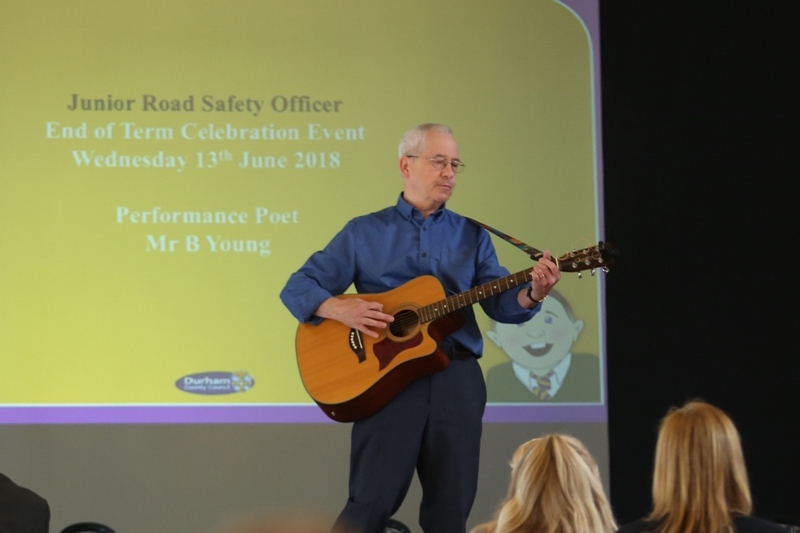 Examples of some of my poems that I use for these kind of workshops are on my Road Safety Poems page, but we also get children to write and perform their own. I’ve had 2 such weeks in June funded by Durham County Council and I have another in September. So far I’ve visited the following Durham and Barnard Castle primary schools: Finchale, Framwellgate, St Godric’s, Blue Coat, Green Lane, St Mary’s RC and Montalbo Nursery and Primary School. 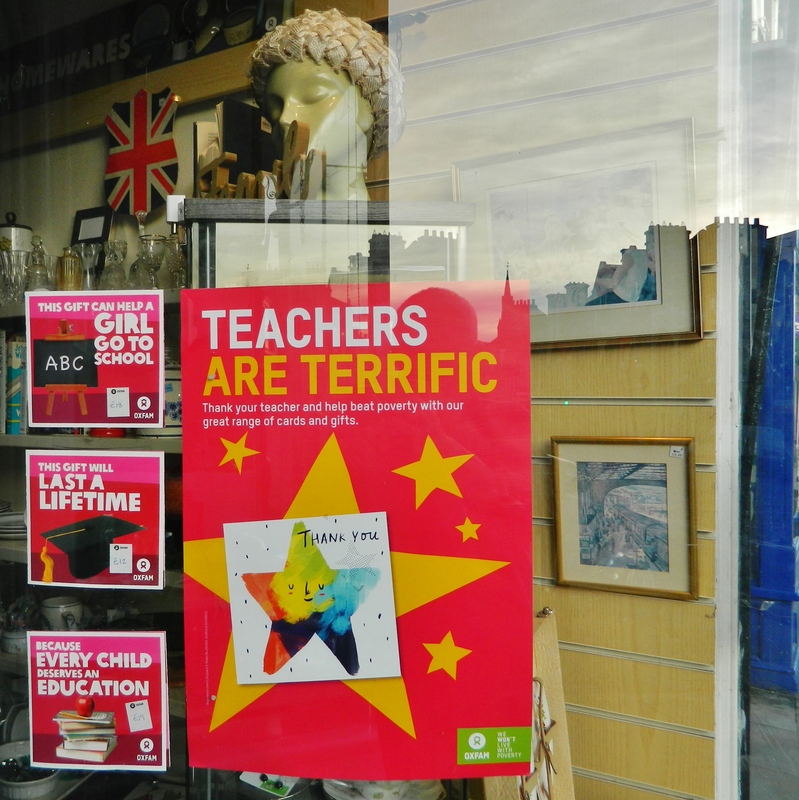 It was such an enjoyable time with great work from the pupils and enthusiastic teachers. We produced some particularly good class poems with music accompanied by guitar. As part of this block of work, I also performed and led a workshop at a Junior Road Safety Officers (JRSO)* event at County Hall in Durham, with pupils and teachers from 12 Durham schools, officers from Durham County Council, the Mayor and Ron Hogg (the Police and Crime Commissioner for Durham Constabulary). It was a fantastic celebratory event of the work of the JRSOs over the past academic year. We split up into 3 groups with 20 JSROs from the different schools in each. A Road Safety Officer facilitated each group, and 3 group poems were produced in under 30 minutes and then performed at the event. The standard was excellent.